The Buildcorp Group provides commercial construction solutions throughout the property lifecycle. Buildcorp’s services include new construction, fitout, remedial building, joinery, remediation and heavy industrial works. We pride ourself on being a business of reputable character: committed to our values and dedicated to building not only great projects, but long lasting relationships. Since 1990, the Group has grown to include four business units which deliver projects of different scales and disciplines. Each has an enviable track record in delivering complex building and engineering projects for a range of well known Australian and international organisations. • Buildcorp Contracting – large-scale construction solutions from $2 million, focussed on the industrial, commercial, health, education, community and retail sectors across NSW. • Buildcorp Interiors – large-scale interior fit-out and refurbishment solutions from $1 million for the commercial, retail and hospitality sectors. • Buildcorp Asset Solutions – specialist remedial building services and small-scale construction projects in NSW to $5 million in value. • Euroline – high quality architectural joinery, shop fit-out and small-scale interior fit-outs in NSW to $2 million in value. The Buildcorp Group regularly works for some of Australia’s most prominent organisations including; Goodman International, Rio Tinto, Investa, Ramsay Health Care, GPT, ING Real Estate, Macquarie Bank, Dexus, Harvey Norman, Bunnings, Sydney Airport, Sydney University, Westpac, Fairfax, Tabcorp, Suncorp Metway, Citta, Sydney Olympic Park Authority, Etihad Airways and Foxtel. Across the Group, we focus on developing lateral solutions that sustain the changing needs of our partners, from project inception and planning through to on-time completion and hand-over. 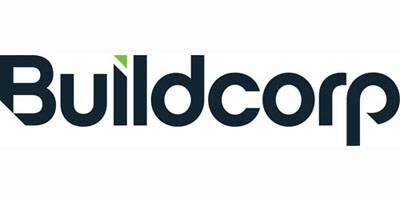 Visit www.buildcorp.com.au to view a catalogue of our projects.